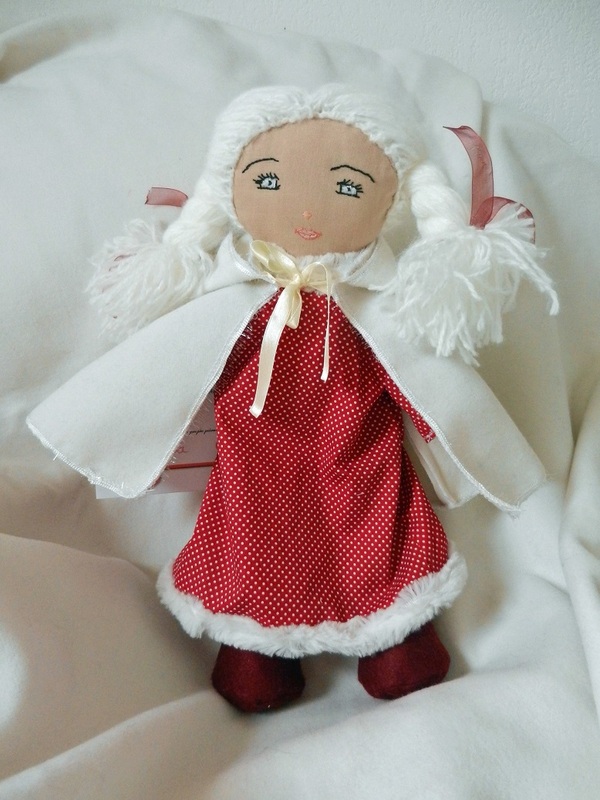 Rag doll "Lisa", hair made of light blond wool, face hand embroidered, light blue eyes, sleeveless sky blue dress dress with white ribbon, off white woolly hooded cape, dark blue felt shoes. 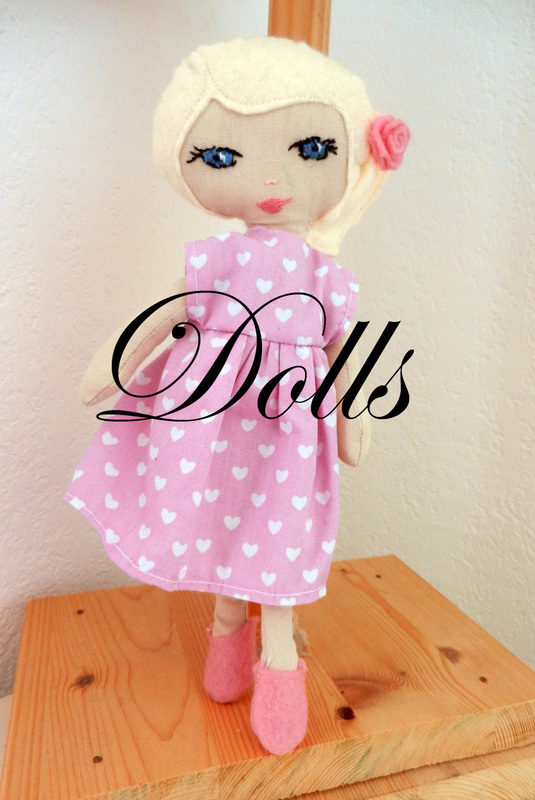 Delivered with adoption certificate of the doll. Who wants to adopt Lisa?